Do you like M & Ms but are a little bored by the same two varieties that are available in the UK? Well, in America you can get M & M Pretzels. Like the traditional milk chocolate and peanut varieties, these delicious candies have the same crispy, chocolaty coating but contain a crunchy pretzel centre. 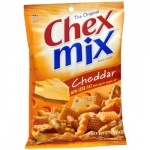 This really does represent the taste of America as pretzels are a common snack item. 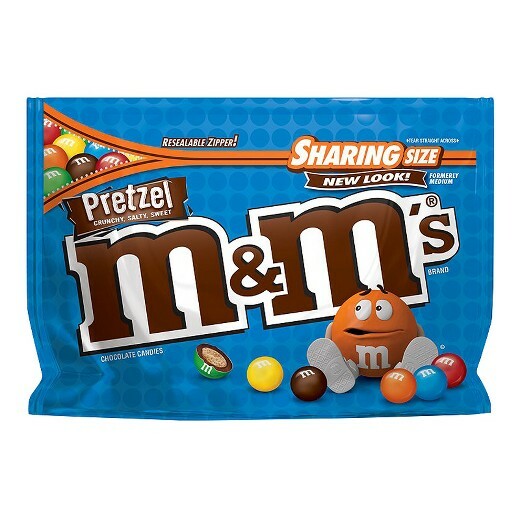 These Pretzel M & Ms are not available in UK shops but have been out in America for some time, and have proved highly popular, with many people preferring them to the original M & M varieties. 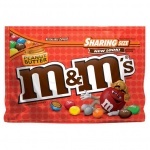 This large sharing bag is great for sharing or for keeping in the cupboard for when you want a little treat. Because they are M & Ms, you don’t have to worry about them melting so they will last a good while, even when opened. For a chocolate treat with a difference, you really must try these Pretzel M & Ms. You won’t regret it. If you love M & Ms, enjoy pretzels or are just a little bored with the usual treats on offer in the UK, these tasty and crunchy Pretzel M & Ms are a great buy, especially when you consider the price, which represents great value for money. These Pretzel M & Ms are one of a number of M & M varieties that we stock that aren’t available in the UK. MILK CHOCOLATE (SUGAR, CHOCOLATE, SKIM MILK, COCOA BUTTER, LACTOSE, MILKFAT, SOY LECITHIN, SALT, ARTIFICIAL FLAVOURS), SUGAR, PRETZEL [ENRICHED FLOUR (WHEAT FLOUR, NIACIN, REDUCED IRON, THIAMINE MONONITRATE, RIBOFLAVIN, FOLIC ACID), FOOD STARCH-MODIFIED Produced from genetically modified maize. **May have an adverse effect on activity & attention in children.